This is Old Jack’s fourth book of ghost stories. 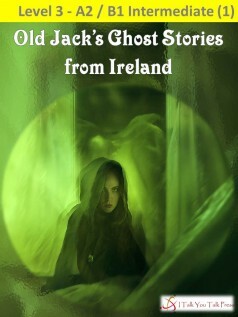 Last winter, Old Jack travelled to Ireland in search of ghost stories. In this book, he shares six mysterious stories from Ireland. People have seen a ghost wearing a soldier’s uniform in Malahide Castle. Who is he? And why is he angry? A luxury hotel hides a dark secret about a young man killed in the First World War. Why do some people see a white light in the young man’s old bedroom? How does Old Jack feel about staying in a hotel that has more ghosts than guests? Will he be able to sleep? Or will he hear someone knocking on his door in the night? For information and maps of the places in this book, see here.